This International Women’s Day, the Women are demanding peace for Yemen. 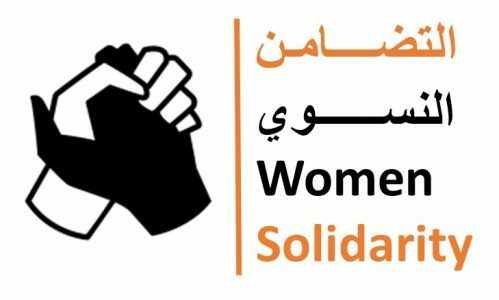 More than one hundred women inside and outside Yemen have drafted an open letter to the UN Envoy, endorsed by solidarity from women and civil society organisations from the MENA region and the world. The Current Women’s Situation in Yemen. Five months into the armed conflict, gender based violence increased by 70%, the number of documented cases women killed and injured have reached 2,447, and the number of internally displaced persons has now reached more than two million, 76% of whom are women and children. Among female-headed IDP and host community households, nearly 21 per cent are headed by females below the age of 18. Child marriage has also increased to 66%, as families resort to it as a coping mechanism to address the poverty widening gap and the deprivation of economic opportunities. It is estimated that 8 million have lost their livelihoods, amid complete or interruption of civil servants salaries and suspension of the social welfare fund cash aid transfers to vulnerable groups. The collapse of the health system have led to catastrophic consequences, including outbreak of diseases such as cholera reaching to more than a million of suspect cases, and where women accounted for 50% of the affected cases. Women’s rights violations and abuse have also increased dramatically. Women have been targeted by airstrikes in their homes, weddings, funerals, schools, and markets. They have been directly targeted by snipes, and they have fallen victims of indiscriminate shelling and mines explosions. They have been shot at with live bullets during their peaceful demonstrations and they have been detained arbitrarily. They are at the frontlines campaigning for reconciliation; to lead on local truces and security; all of which are efforts that have been ignored and not adequately supported. Women in Yemen participated effectively during the National Dialogue Conference, and secured 30% representation in all political processes as part of the conference’s outcomes. Looking at women’s participation in the negotiation process, the UNSC resolution 2216 is gender blind. The women’s participation in the third round of talks in Kuwait in 2016 was limited to participation of three women out of twenty eight members of the delegates, those women were representing their political actors and not independent. Seven independent women were invited to the sidelines of the negotiations for a five-days visit, which amounted to a token participation. Those women delivered messages to the international community and negotiating delegates, however, those messages were not taken seriously enough. When the then UN Envoy resorted to shuttle diplomacy and back channels, his meetings with women were very limited. The UN also sponsored a track II consultations led by INGOs, but those in general lacked transparency due to the quiet diplomacy approach that are usually used for these kind of consultations, women who were present voiced that women’s participation in those meetings was very limited. UN Women also supported the establishment of the Yemeni Women Pact for Peace and Security, to serve as a platform to support women’s participation in the peace process, however, it is unclear how influential the pact is to the process and how its member opinions are taken into consideration. As for the peace agenda, it lacks a gender lens. Women’s priorities and issues in general were ignored. For example, women from the South have expressed their concerns for not including the Southern issue in discussions and the agenda and questioned the absence of a Southern delegate to represent the issue in the negotiations. Other women raised the issue of child recruitment which is explicitly mentioned in the UNSC resolution 2216 (2015) calling for an end to but which is only being addressed in the context of the detention and release of child combatants but fails to address the aspects of disarmament, demobilization, and reintegration of children. Women also repeatedly spoke about prioritizing issues such as education and health delivery services, and committing to disbursing salaries to civil servants in the whole country. In 2016, more than seventy women leaders worked on developing and sent to the UN Security Council and UN Special Envoy’s Office a National Agenda for Women, Peace, and Security, which was welcomed by the UNSC (S/2017/627). However, very little has been done to address the demands in that agenda, including the explicit call for 30% representation of women in the negotiations as per the UNSC president statement last June 2017 (S/PRST/2017/7). Immediately work on a cessation of hostilities, opening safe humanitarian channels, lifting embargo on all airports including Sana’a airport, and allowing commercial flights to operate. End the siege imposed on Taiz. Resume the political and peace negotiations. Ensure the continuation of education and health services delivery. Ensure disbursement of civil servants salaries. Support the release of detainees. Develop mechanisms to end child recruitment. Discuss a fair solution for the South issue. Discuss transitional justice and its gender responsiveness. Ensure that armed groups and militia withdrew from cities and that military camps and depots are removed from cities and residential areas. Ensure that the peace agenda is gender responsive and that women’s issues and priorities are reflected, as well as, ensure that the delegates have gender experts on their teams. Regularly consult with women leaders and women’s organizations from across the country as per UNSC 2122 (2013) and S/PRST2017/7. Ensure women’s representation in peace processes in all tracks, of no less than 30%, including women’s representation in all committees developed as result of the peace negotiations and political processes during the transitional period, such as the de-escalation committees, reparation and reconstruction committees, and any other committees formed. Ensure that women are fairly represented including 50% for southern women, 20% for young women, ensure that representation is addressing the geographical diversity at the local and national levels. Commit to developing a mechanism for women to be heard in the negotiation process including rural women and women victims/survivors of the war to ensure that their priorities are addressed in any upcoming political solution. Ensure that there are mechanisms for protecting women and women human rights defenders. Model Nisma Al-Kumaim pausing to send a message to stop the war and head to peace and reconstruction. Thana’a Farouq, Yasser Abdulbaqi, Nisma Al-Kumaim, Sami Shamsan.